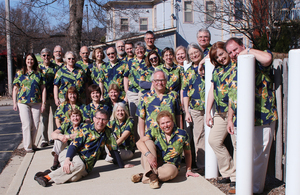 Take an a cappella holiday voyage with Acappellago to Canada, Mexico, the Caribbean and South America, and discover how our neighbors celebrate Christmas in song. The program will continue the celebration in the U.S.A., with spirituals, Appalachian folk songs and new music by composers from Villa Park and Northbrook. This year marks the fifth year that the Darien Woman's Club will collect shampoo, conditioner, body wash, liquid hand soap, bars of soap, liquid dish soap and laundry detergent for local families in need during the holiday season. This collection is made possible by members of the community. Without you, the Darien Woman's Club could not provide 250 families with much needed soap products. Your contributions have truly made a difference. 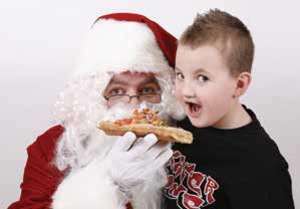 The South East Association for Special Parks And Recreation (SEASPAR) will host its 11th annual Holiday Spectacular event on Mon., Dec. 4 at 7pm at the Theatre of Western Springs. 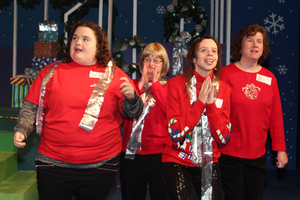 The Holiday Spectacular is a showcase of SEASPAR participants with disabilities’ talents in various arts such as song, music, dance and theatre. Most of the performers hone their skills in SEASPAR’s year-round programming that includes voice and instrument lessons as well as dance and drama groups. The Theatre of Western Springs is located at 4384 Hampton Avenue in Western Springs. For more information, visit SEASPAR.org or call 630-960-7600. Special needs drama group performs Beauty and The Beast Jr.
Lyons Township Adult and Continuing Education’s Actors with Special Needs drama group will perform Beauty and The Beast Jr. under the direction of Christine Rehak-Grohne. The performance will take place on Saturday and Sunday, November 18 and 19 at 2pm at Lyons Township High School (South Campus), 4900 South Willow Springs Road, Western Springs. Tickets are $5 and complimentary refreshments will be served at intermission. The cast is comprised of actors from all over the Western suburbs, including several Darien residents. When Seniors Helping Seniors launched their in-home care services over a decade ago, the organization established itself as the only national caregiver and companionship organization that matches seniors who need help with engaging, local seniors who can provide the assistance. The care providers help with things like hygiene and personal care, companionship, transportation, light housekeeping, meal preparation, and medication reminders—just about anything non-medical that might help someone to thrive in their home. 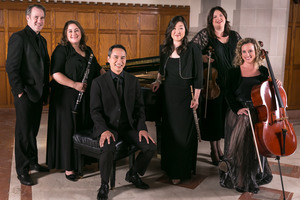 Picosa’s Americana program weaves together the works of five composers for an exciting journey through American musical style of the 20th and 21st century on Tues., Dec. 5th at 7pm at Mayslake Peabody Estate, 1717 W. 31st Street, Oak Brook. Music lovers will enjoy experiencing Picosa’s signature symphonic sound and welcoming community at every program of virtuosic chamber music. General Admission tickets for the concert and dessert reception are $25 with discounts available for seniors and students. Picosa is a 501(c)(3) not for profit organization. To purchase tickets visit PicosaMusic.com.